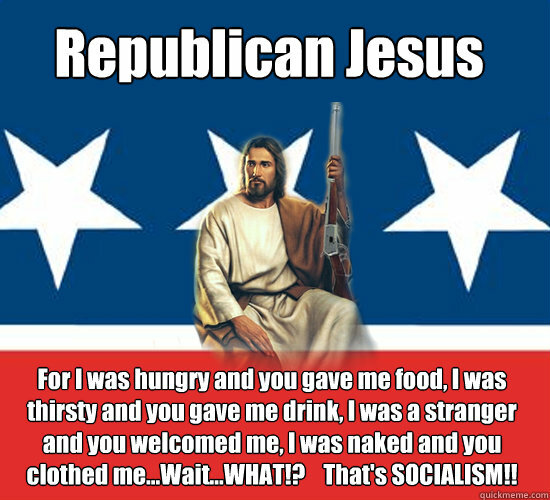 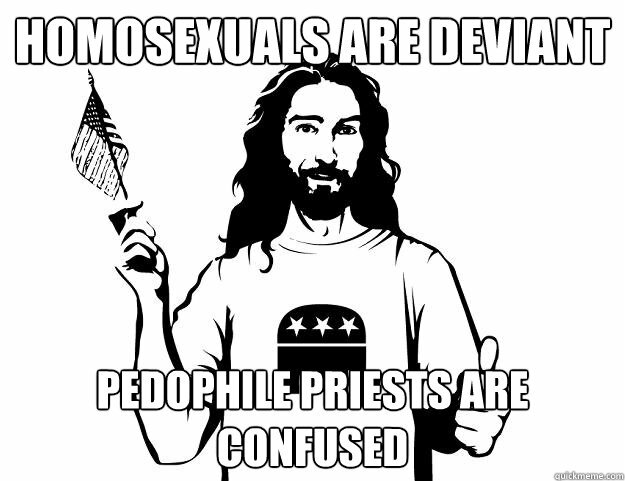 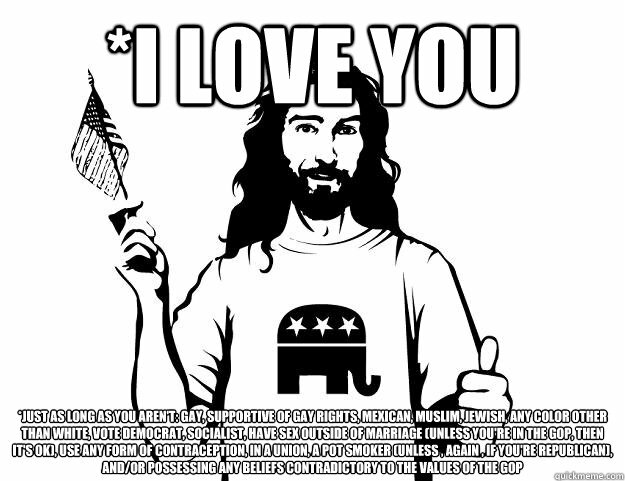 Republican Jesus For I was hungry and you gave me food, I was thirsty and you gave me drink, I was a stranger and you welcomed me, I was naked and you clothed me...Wait...WHAT!? 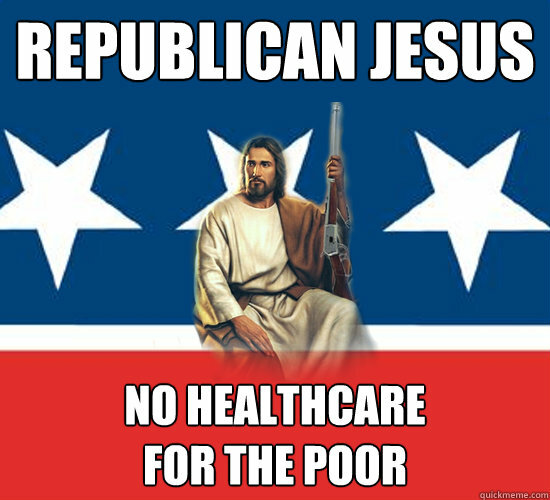 That's SOCIALISM!! 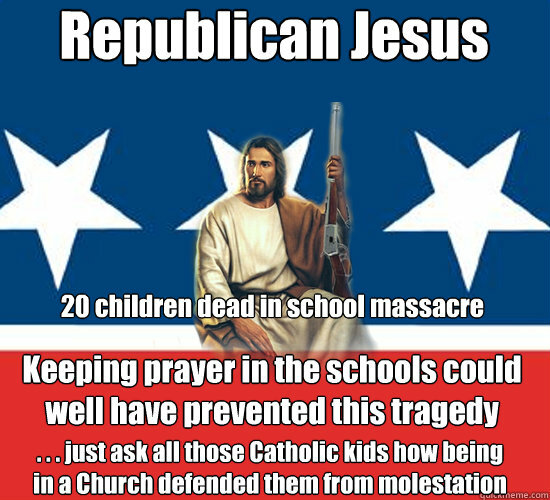 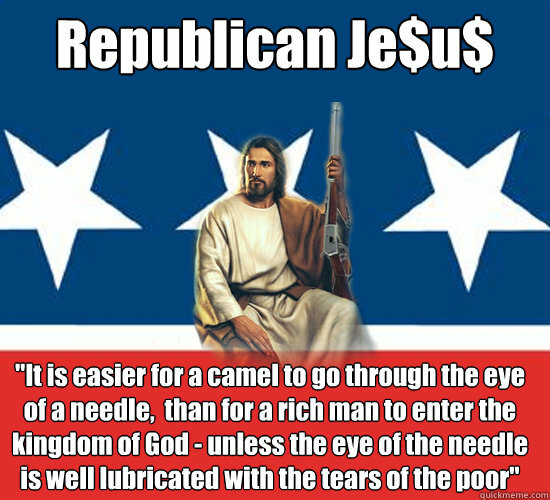 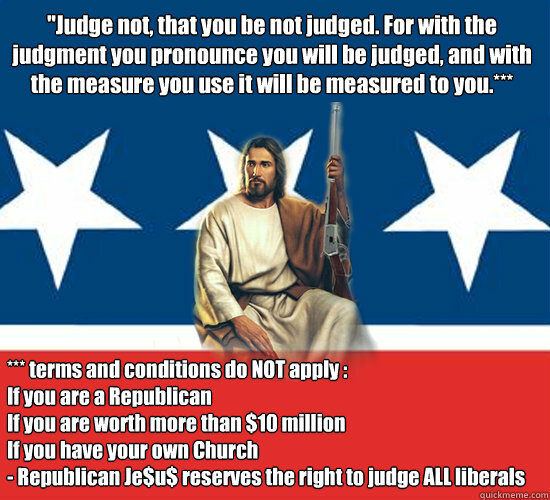 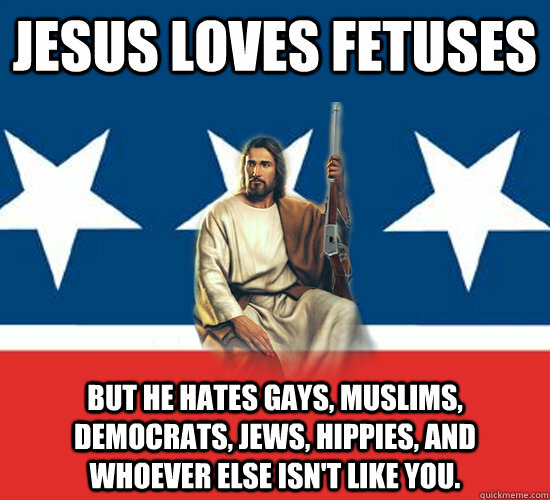 Republican Je$u$ "It is easier for a camel to go through the eye of a needle, than for a rich man to enter the kingdom of God - unless the eye of the needle is well lubricated with the tears of the poor"
Jesus loves fetuses but he hates gays, muslims, democrats, jews, hippies, and whoever else isn't like you. 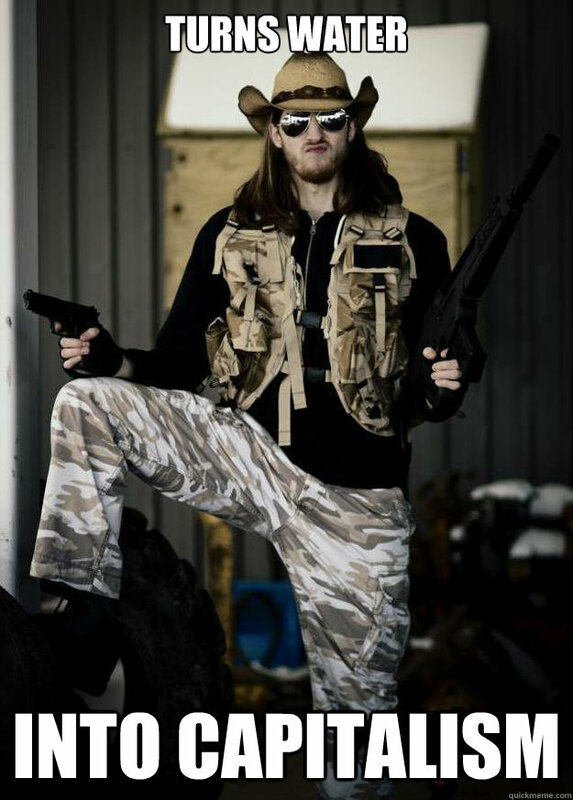 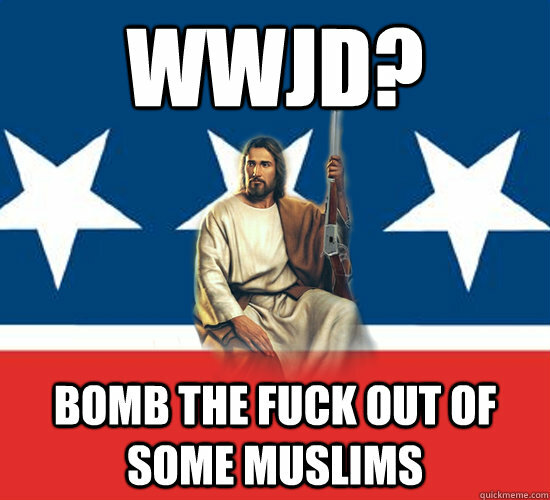 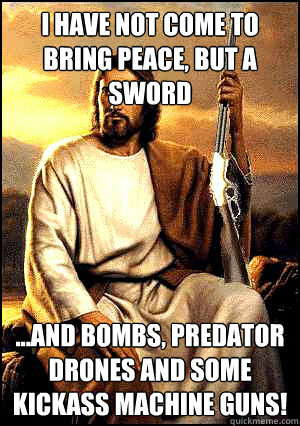 I have not come to bring peace, but a sword ...and bombs, predator drones and some kickass machine guns!